If you were worried that Zachary Levi’s costume in the upcoming Shazam film wouldn’t be faithful to the comic books, you can now breathe a sigh of relief. 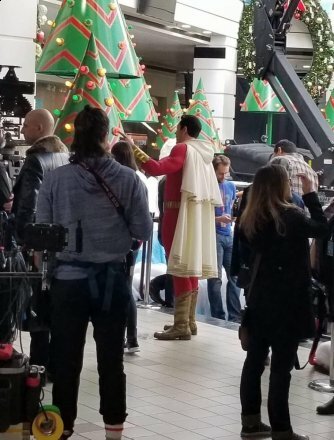 Thanks to one quick snapping Redditor, we are now getting our first look at the costume, even if it isn’t a full frontal view. In an interesting move that moves away from the more tactical costume styles in both the DCEU and the MCU, it’s looking like Levy will be decked out in the full spandex and flowing cape of his comic namesake.